The good news is that the age of expensive, poorly targeted newspapers and print media is pretty much dead. But the bad news is that as companies turned to the internet to source candidates they have been disillusioned by the low quantity of good applications and staggering quantity of bad ones. Online recruitment companies therefore stepped in to provide a service that offers the best of both world – targeted, high-profile, effective, and cheap. Best of all, because these companies are so affordable you can dip your toe in the “talent pool” and test the temperature. However, there are cowboys out there. Word of mouth, recommendations, testimonials and case studies are an important way of establishing the quality of a recruitment service. 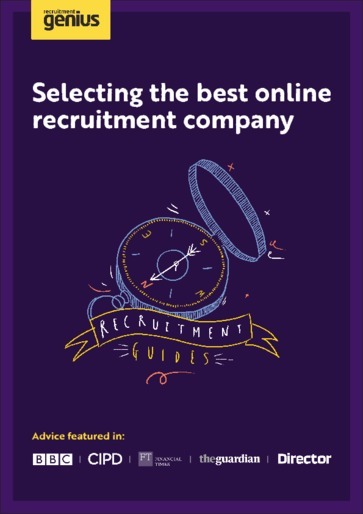 By being prepared, you can use the advantages of online recruiters and minimise the risks to deliver an effective recruitment campaign for your organisation.